Input text: the white book is on the shiny desk. it is facing up. the pencil is on the book. 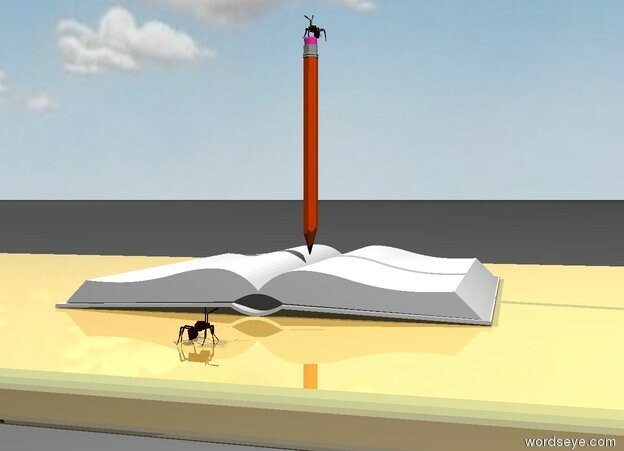 the ant is on the pencil. it is cloudy. the black ant is 3 inches in front of the book. it is facing backwards.